According to the automotive rumor mill combined with insider information courtesy of the folks at Allpar.com, some of the Chrysler Group’s most popular models powered by the 5.7L Hemi V8 will send their power to the wheels via a similar 8-speed automatic transmission to the one at work in the current V6 iterations of those vehicles. Those vehicles that will likely benefit from the addition of a Hemi/8-speed automatic transmission setup include the Dodge Charger, the Ram 1500, the Chrysler 300C, the Dodge Durango and the Jeep Grand Cherokee. These discussion indicate that the Dodge Challenger will be excluded from the list of vehicles getting the 8-speed automatic transmission as the company will likely wait to add that feature to their brawny muscle car until the new generation is unveiled (which should happen within the next year or so). Rumors indicate that dealerships could begin ordering the Hemi-powered sedans, trucks and sport utility vehicles as soon as February but insider information suggests that production of these models will not actually begin until we are much closer to the summer of 2013. Based on that timing, the V8-powered vehicles fitted with the new 8-speed transmission will most likely be labeled as 2014 model year vehicles and when they arrive, this new gearbox will replace the 5-speed automatic transmission that has been in use with the 5.7L Hemi V8 since it was introduced almost a decade ago. The addition of the new 8-speed automatic transmission to the Dodge Charger, the Ram 1500, the Jeep Grand Cherokee and the rest of the vehicles listed above will likely bring about improved acceleration times along with better fuel economy. Due to the fact that there are more gears, the engineers are able to offer a numerically lower first and second gear for improved acceleration while the 7th and 8th gears help keep the engine RPMs low when cruising around town or on the open road. Also, the higher number of gears allows for less of a change from gear to gear which results in improved performance through shortened shift times under hard acceleration while also providing for smoother shifts under normal driving situations. Overall, this means that these vehicles that will offer the new 8-speed transmission option with the Hemi V8 will likely post better 0-60 times and better mid range acceleration numbers (50-80mph, 50-100mph) when compared to the 5-speed automatic transmission currently in use. Most importantly to some, the addition of this new 8-speed transmission to the likes of the Dodge Charger, the Ram 1500 and the Jeep Grand Cherokee will likely bring about a pretty substantial increase in fuel economy – especially on the highway. For example, the current rear wheel drive Dodge Charger R/T with the 5.7L Hemi offers 16 miles per gallon around town and 25 miles per gallon on the highway. Rumors indicate that the city mileage could move into the range of 18mpg while the added gears coupled with Chrysler’s Fuel Saver system (featuring cylinder deactivation) could increase the highway mileage into the area of 29 miles per gallon. A 4,000+ pound sedan with 370 horsepower and 395lb-ft of torque that gets almost 30 miles per gallon would certainly turn some heads in the performance world as no longer does driving a powerful American V8 mean that you have to stop at every gas station you see. In short, it is almost certain that the Dodge Charger, the Dodge Durango, the Chrysler 300C, the Jeep Grand Cherokee and the Ram 1500 will be getting the 8-speed transmission in the near future but exactly when they will arrive is the mystery. Should the insider information from Allpar.com be correct, buyers could be ordering these 8-speed V8 vehicles before the end of the first quarter of 2013 with their car, truck or SUV being delivered in time to enjoy the summer. Having driven more than a few Chrysler Group vehicles with the current 5-speed/Hemi combination and the 8-speed/Pentastar setup – I can safely say that the new 8-speed transmission will be a welcomed addition to the lineup of all of the Chrysler Group Hemi-powered vehicles. With the start of the 2013 North American International Auto Show just a few weeks away, we should soon know more on the future of the 8-speed transmission feature across the entire Chrysler product range. 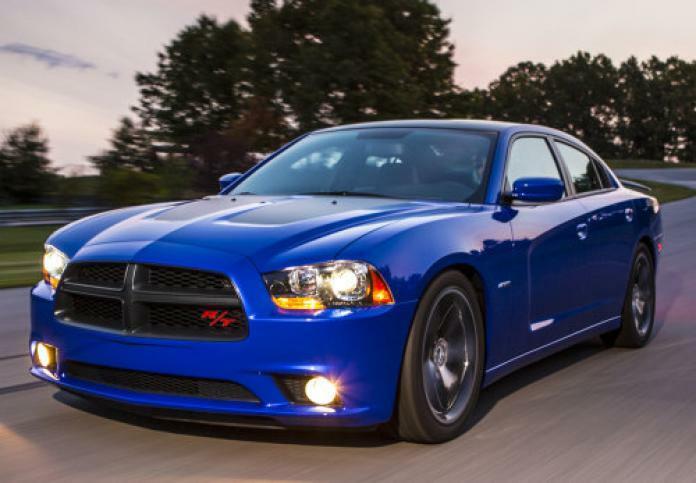 Will the 8 speed transmission work in '06 - '10 charger r/t?